Malala Yousafzai has won the Nobel Peace Prize. It is, arguably, the most prestigious prize in the world. Yousafzai is 17 years old. 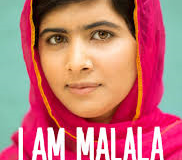 She is the youngest person ever to be awarded the Nobel Peace Prize. It was a year ago this week that the world came to know young Malala Yousafzai. The girl, who is now 16, was riding a bus on her way home from school in Pakistan. 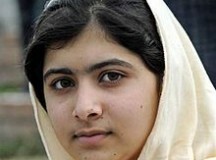 Two men, who were members of a terrorist organization in Pakistan, came on the bus and attacked Malala. The group known as the Taliban, doesn’t agree with girls getting an education. Malala had been writing online about the importance of girls going to school and about her own love of learning. The Taliban wanted to stop Malala—but their actions created a world-wide outpouring of affection for the brave girl, who has since nearly fully recovered from her ordeal. Malala was taken to a hospital in England, where she had a life-saving operation. She now lives and goes to school in England. Nelson Mandela is responding well to treatment, according to his doctors. Mandela is one of the most well-known and respected people in the world. He is 94 years old and is in hospital, fighting a recurring lung infection. Doctors say he is in serious but stable condition. To many people around the world, Mandela is known as a great hero. He fought for the freedom of blacks in South Africa. During the 1950s until the late 1980s, South Africa was ruled by a relatively small number of white people. Black people, in the majority in the country, had few rights. Blacks were not allowed to be citizens, and were not given the same rights as white people. Services for black people were greatly inferior to those provided to white people. Black people were not allowed access to the best schools, hospitals, beaches or many other services to which the country’s white people had access. Apartheid was denounced around the world, but South Africa’s government refused to change its policy. Nelson Mandela, and people who followed him, wanted to change things. Yesterday, Malala went back to school. For girls in many countries — for instance, Canada or the United States — that statement would not be very startling. But Malala Yousafzai is a 15-year-old Pakistani girl who was attacked for trying to get an education, and for speaking up for other girls who wanted an education. She became known around the world as a hero for her courage in fighting for the rights of girls in Pakistan. In Pakistan, a militant and terrorist group known as the Taliban believes that girls should not be educated. In 2009 they issued a ban that said girls are not allowed to go to school. Last October, when Malala was travelling to school, members of the Taliban attacked and seriously injured her. She was taken to a hospital in Britain, where doctors saved her life. It has been a long road back to recovery for Malala, but yesterday she went back to school, this time in England. Her father walked her to her first day at Edgbaston High School for Girls in Birmingham. She said it was the most important day of her life. The European Union has decided to put all of the money it won for the Nobel Peace Prize towards projects that help children in war zones. The EU includes 27 countries in Europe that are closely tied in business and politics. 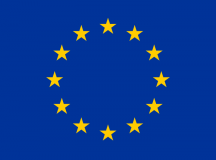 The EU was awarded the 2012 Nobel Peace Prize for its efforts in keeping the peace in Europe for more than 65 years. The Peace Prize is a very prestigious honour; the winner receives a medal and eight million Swedish kronor—about $1.18 million. That money will be put towards projects that help children who live in areas of the world that are experiencing conflict or war. “Children are the future of any society and at the same time the most vulnerable,” the European Commission said in a statement about the prize money. What those projects will be, and how the money will be divided, will be decided in the next few weeks. It was a special day around the world, honouring a brave Pakistani girl named Malala Yousafzai. Amid terrible opposition, she stood up for the rights of girls and women. Malala was injured but she has nearly completely recovered now. In Pakistan, a group of militants and terrorists known as the Taliban believe that girls should not be educated. In Jan. 2009 they issued a ban that said girls are not allowed to go to school. When she was 11 years old, in 2009, Malala started writing in an online journal (or blog) that was part of the BBC’s news website. She told people about the things the Taliban were doing in her village to stop girls from going to school. Note: This article contains information that some children may find frightening.